I hope I don't get sick of this stuff. I have ship load. 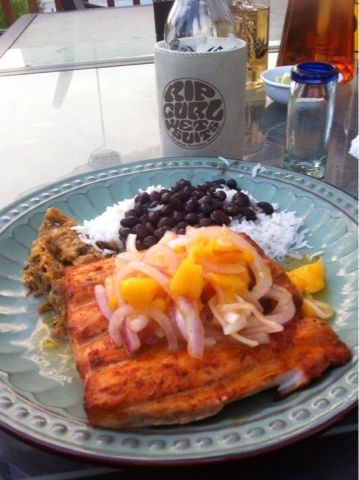 Just your basic Grilled Mahi Mahi with coconut rice, black beans, mango relish and mashed plantains. Last week I was in Cabo. 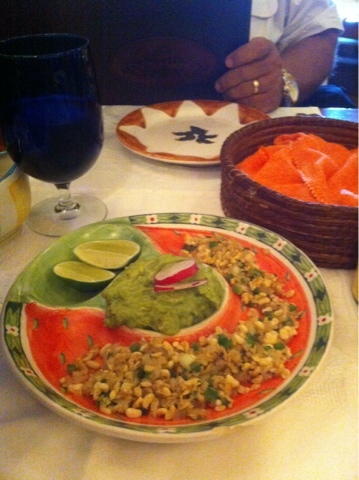 We went to an amazing restaurant called La Fonda. The appetizer was Escamole aka ant eggs a dish that was voted one of the 6 most terrifying food in the world by Cracked.com They were ok but not much flavor. Really you tasted onion more then anything. They are the larva of a very venomous ant that live in the roots of the Agave plant so they cant be all that bad. 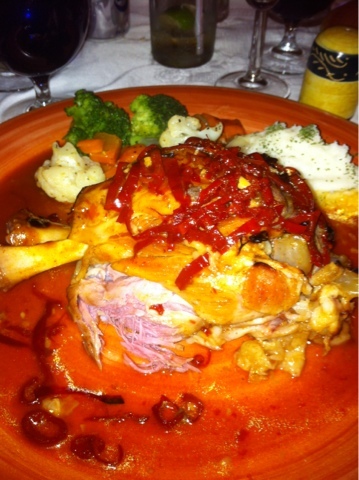 My main course was a pork shank that was worth the trip. 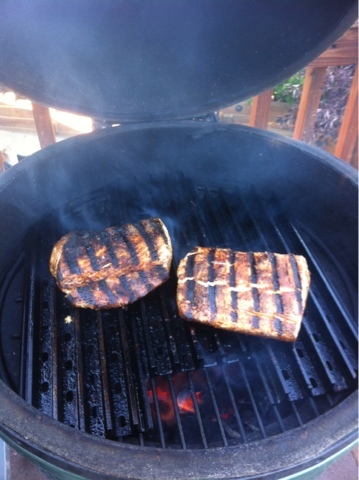 The fishing was pretty good. 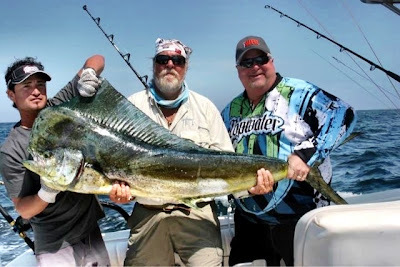 I caught the biggest Dorado (Mahi Mahi) of my life a 55 lb monster. 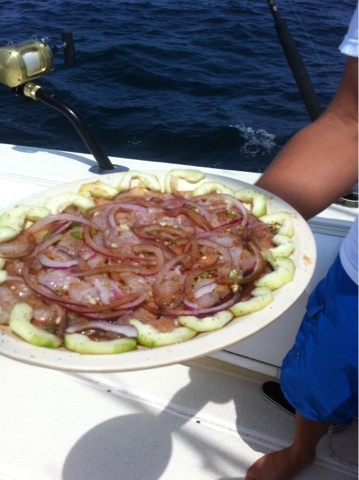 The deck hand on the boat made us some ceviche from one of our fish about 45 minutes after it was caught. There is nothing like super fresh ceviche. It was a great trip and I can't wait to get back down there in November. 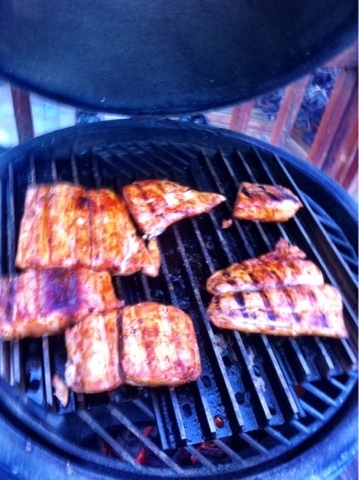 Mahi Mahi Ceviche can't get any fresher.